Three level stunning residence. 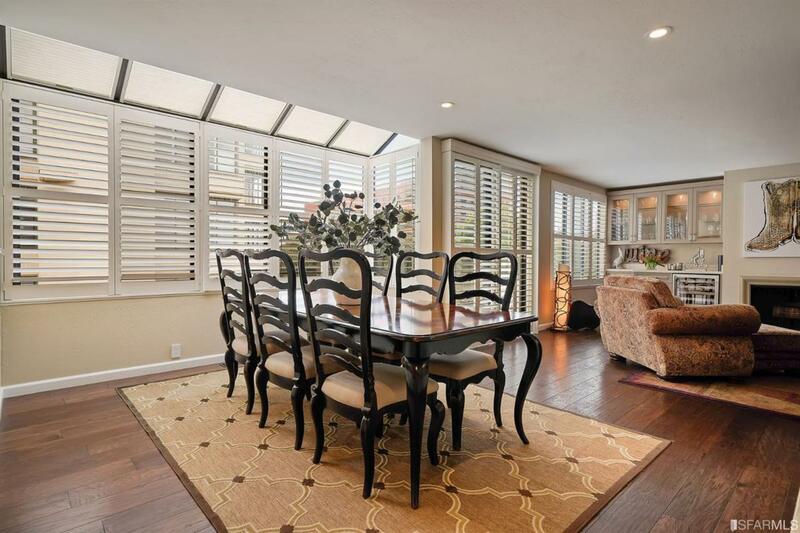 Top floor townhouse with its own private, landscaped roof deck. This is an end unit and does not share any main walls. It feels like a single family home. Stunning ,dark, wide plank floors on main floor. Cozy wood burning fireplace and built-in bar area in living room. The large kitchen has been opened to the dining room and there is another deck off the living area. Laundry and half bath are on main floor. Three bedrooms and two baths on second floor. Master suite has custom built in closets and large dressing area leading to a second entry. 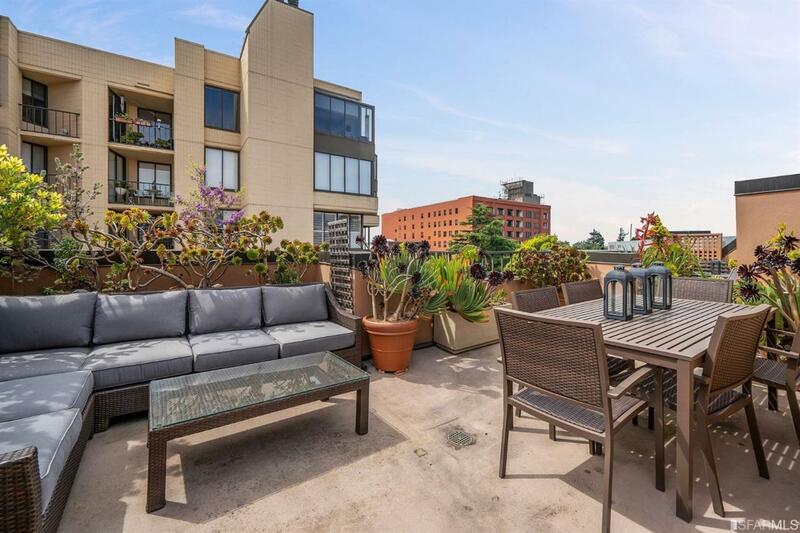 Top floor is a gorgeous private roof deck that has been beautifully landscaped. Great for entertaining, barbecuing or sunning. Coit Tower View. Storage was added under stairwell and there are huge closets throughout. Excellent parking next to the elevator and an additional storage space in garage near parking space. 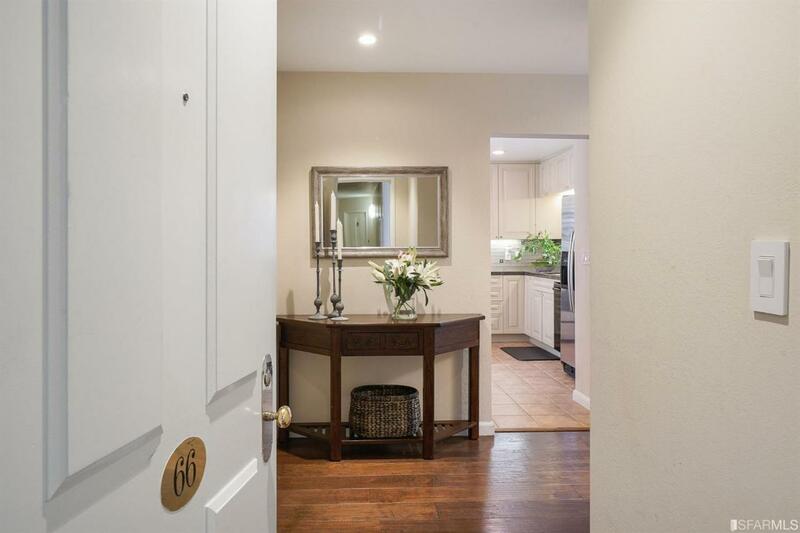 Come home to Telegraph Landing in sunny North Waterfront location. 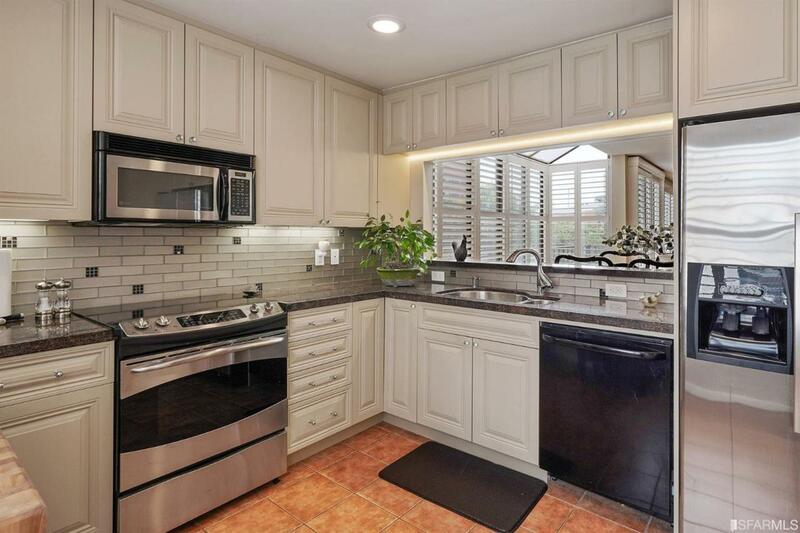 Listing provided courtesy of Gail Grendahl of San Francisco R.E. Svcs..